ITSMUSICCAFE: YEMISAX IN CONCERT "CHRISTMAS WITH YEMI SAX"
YEMISAX IN CONCERT "CHRISTMAS WITH YEMI SAX"
It’s going to be Christmas like never before this season as Sax Records Entertainment in conjunction with Enigma presents to you one of the best shows of the season!! ! Christmas with Yemi Sax. 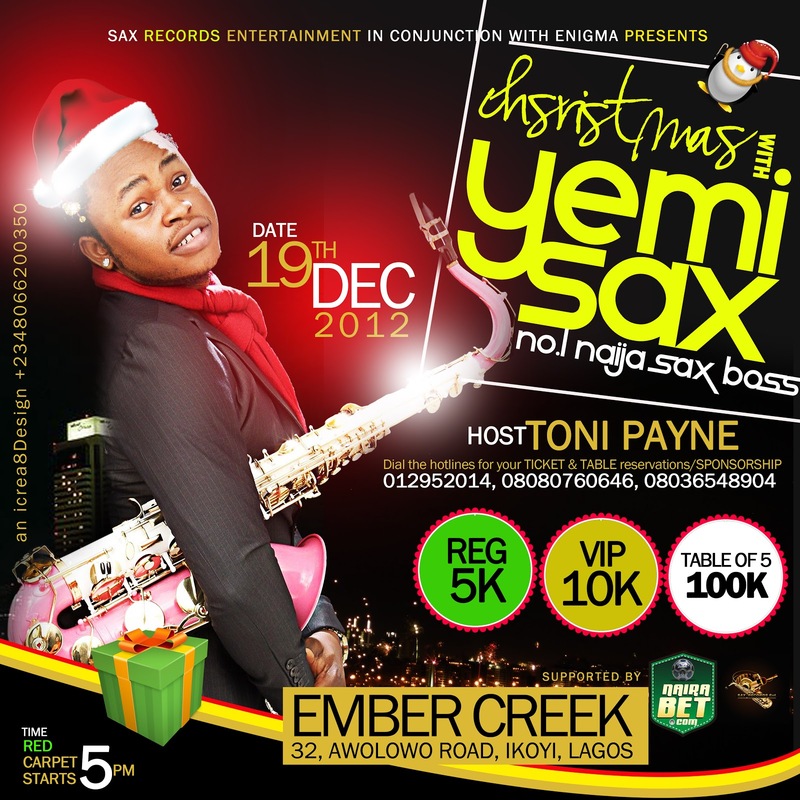 Nigeria’s leading Saxophonist “Yemi Sax” also known as No.1 Naija SaxBoss and Sax Oracle will be celebrating the Christmas this year with his beloved fans and music lovers in an emphatic style at the Ember Creek, No. 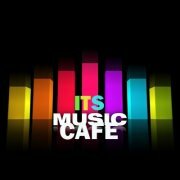 32, Awolowo road, Ikoyi Lagos on the 19th of December, 2012. The event tagged “Christmas with Yemi Sax” will be hosted by the multi-functional entertainment diva “Toni Payne” and will feature your top Nigeria celebrities as guest artistes. KHALA DROPS SIZZLING HOT JOINT "GOING UP"
FLAVOUR DUET WITH KIDSTAR OZZYBOSCO IN"SWEETMAMA"
DEUCE RECORDS WONDABOY DROPS "OVERLOAD"
ECLIPSE DEBUTS BRAND NEW SINGLE, "OLODO"
TwM. Simple theme. Powered by Blogger.